The doors to CES 2018 will open very soon, and we’ve already been hearing exciting announcements about some of the new 3D printers and products that will be showcased in Las Vegas next week. Aleph Objects, which designs, develops, and manufactures the award-winning LulzBot line of desktop 3D printers, parts, and plastics at its Loveland, Colorado headquarters, will give visitors what the company refers to as an “unprecedented display” of the actual manufacturing process for LulzBot 3D printers. The company is using its CES booth as a showroom floor 3D printer factory, as its popular LulzBot 3D printers will manufacture additional 3D printers live, offering visitors a first-hand look at the production process. 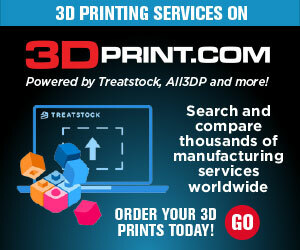 “3D printers making more 3D printers? Call it the beginning of a Hollywood doomsday flick or call it the future of manufacturing – whatever you do, just don’t call them toys,” the LulzBot website states. Over 150 LulzBot 3D printers are working 24 hours a day, 7 days a week at the Aleph Objects headquarters, busily 3D printing the custom components necessary to build more LulzBot 3D printers. This is what the company refers to as its Cluster, which LulzBot first introduced in 2015, and some people believe that clusters of automated desktop 3D printing systems will actually be the future for 3D printer manufacturing. Every day, the LulzBot Cluster turns 50 kg of filament into structural components, fan ducts, extruder gears, and other 3D printer parts, and now, a little over a year after the Cluster completed its one millionth 3D printed production-quality part, it hit another milestone with the completion of its two millionth part. At next week’s CES 2018, Aleph Objects will be demonstrating a live micro-cluster, using nine LulzBot 3D printers to make other specialized 3D printer components, as well as calibrating the completed 3D printers and packaging them. You may have noticed that three of these components – the Tool Head, Mini LCD Controller, and Print Bed Heater – are new to the LulzBot family of products. Aleph Objects, in addition to its LulzBot Mini 3D printer giveaway and live 3D printing demonstration, will also be announcing the availability of these three new 3D printer accessory products, along with showing off some of its other recent releases. CES 2018 opens on Monday, which is the same day that the new Aerostruder Tool Heads for the LulzBot TAZ and Mini 3D printers will be available for purchase. This accessory makes it possible for the 3D printer to use both rigid and flexible materials, without having to switch between different tool heads. 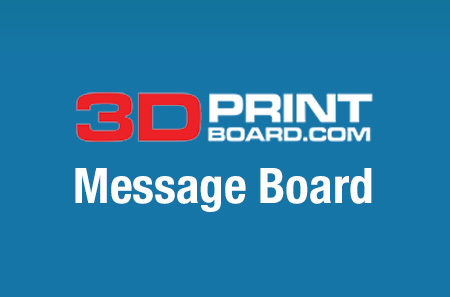 Soon after the show ends, the LulzBot Mini LCD Controller, which allows the 3D printer to operate without being connected to a host computer, will be available for purchase as well. Other new products that will be demonstrated at the Aleph Objects CES booth are the latest version of Cura LulzBot Edition software, Modular Print Bed Systems for both the LulzBot TAZ and Mini, and the LulzBot TAZ Dual Extruder Tool Head v3, which can print with water-soluble support structures. If you want to get a firsthand look at the LulzBot micro-cluster and its new products, and have the chance to win a limited edition LulzBot Mini 3D printer bundle, visit the Aleph Objects at CES 2018 next week – booth #8700, in the North Hall of the Las Vegas Convention Center. 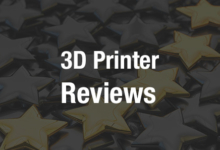 Don’t forget, 3DPrint.com will also be at CES, bringing you all of the latest product and technology news right from the showroom floor.